Women of America arise: It is safe to come out from under the bus. That’s where the Republican fun bunch in Washington tossed us en route to The Greatest Obamacare Replacement in the History of the Universe. Before it all imploded last week, the White House tried to win over congressional hard-liners by scrapping a requirement that insurance policies cover such things as mental health treatment, emergency room trips, and services for women, like maternity care, birth control, and mammograms. Why, their thinking goes, should people have to pay for coverage they’ll never use? As high-strung dissembler and White House spokesman Sean Spicer put it, “I think if you’re an older man you can generally say that you’re not going to need maternity care.” Ha! Guys don’t have babies! 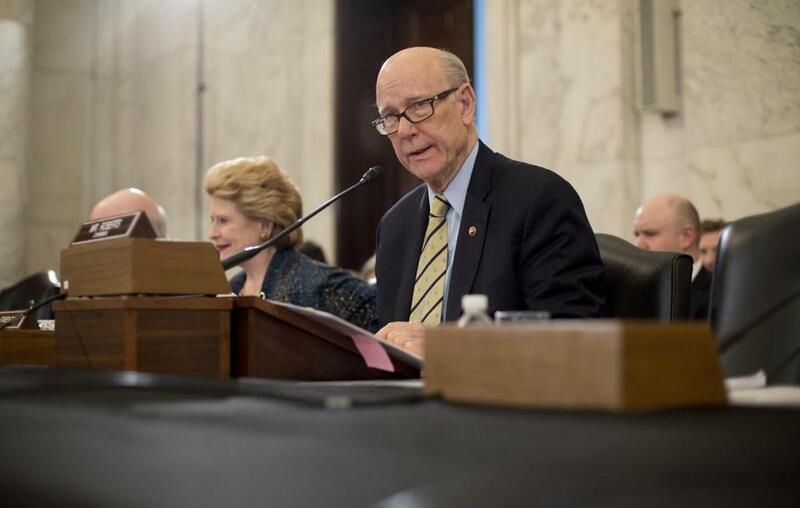 And how about Senator Pat Roberts, the Kansas Republican who, when asked about the loss of guaranteed coverage for breast cancer screenings, joked, “I wouldn’t want to lose my mammograms.” So funny, cause he doesn’t have breasts! Stop, my sides! No, seriously, stop. You know what’s not funny here? And what remains not funny, even though the Republicans’ plan tanked on Friday? How shockingly oblivious they are to the way insurance works. The money healthy people pay for insurance they rarely use helps cover the sick people who use it a lot. The costs are spread out, otherwise premiums and deductibles for frequently sick people, or those with mental illness, or those who are pregnant, would be impossibly high. My insurance covers prostate treatment, even though I lack the requisite equipment to take advantage of it, and that’s fine. The system is built on the idea that everything eventually evens out. Just about everybody receives the benefit of coverage others help pay for at some point. We’re all in it together. But that togetherness thing seems anathema to GOP leaders, and especially to the White House. And not just when it comes to health insurance. The budget the president proposed recently takes the same blow-it-up approach to government as the aborted health care repeal takes to insurance. Explaining the decision to take money from domestic programs and put it into security, budget chief Mick Mulvaney said people shouldn’t have to pay taxes for things that don’t benefit them. You can’t expect a coal miner to pay for public television, he said, making the elitist assumption that a miner and his family would have no use for “Arthur” or other public programming. But even if they didn’t, we all pay taxes for things we don’t directly use: for schools our kids don’t go to, or for roads and bridges we’ll never see. We do it for the common good. E pluribus unum and all that. “Government is simply the name we give to the things we choose to do together,” former Massachusetts representative Barney Frank used to say. But for the ideologues who have taken over Washington, there is no real common good — unless you’re talking bombers, or blocking the border. They seem to have a problem with the idea of federal government, period. But they can’t sever us from each other. Kids who don’t need their schools to feed them are growing up with those who do. Men don’t get pregnant, but they’re generally part of the equation. We’re all connected. To pretend otherwise is to put our future in peril. Globe columnist Yvonne Abraham can be reached at yvonne.abraham@globe.com. Follow her on Twitter @GlobeAbraham.